This book gets three strikes from me. 1) The cover is atrocious. 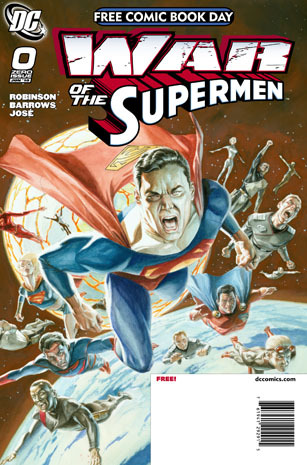 The Supermen look like they are crapping themselves. 2) I’m not a big Superman fan. So an event book centering around his mythos doesn’t interest me at all. 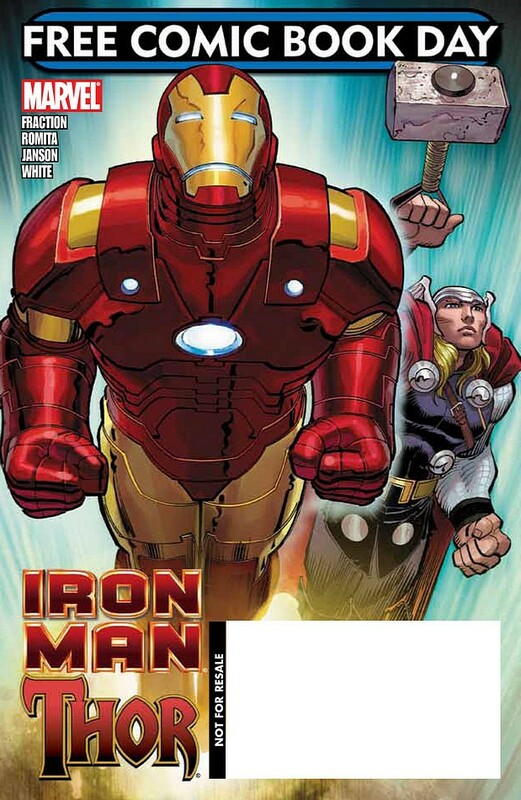 Free Comic Book Day is May 1st at participating comic book shops. Writer Brian Michael Bendis continues the battle that was started in the first issue but he moves the overall story along at a much slower pace. To give you some background “Enemy” is going to be the first in a trilogy of mini- series that focus on some crazy as of yet unidentified threat or threats in Marvel’s Ultimate universe. In the first issue Nick Fury had his lunch rudely interrupted by some crazy alien looking dude and the Baxter building and a Roxxom Corporation buildings were attacked by a giant purple blob thing. This issue continues the action as Thing, Spider-Man, Spider-Woman,Nick Fury, The Human Torch and Sue tangle with the aforementioned threats. The most disturbing thing about this series so far is that the Thing is losing “plates”. So he has this gross looking bald spot on his head. It makes me a little queasy whenever I see it. I hope they re-grow or that he decides to super glue them back on. The art is great and the action scenes are fun and well choreographed. 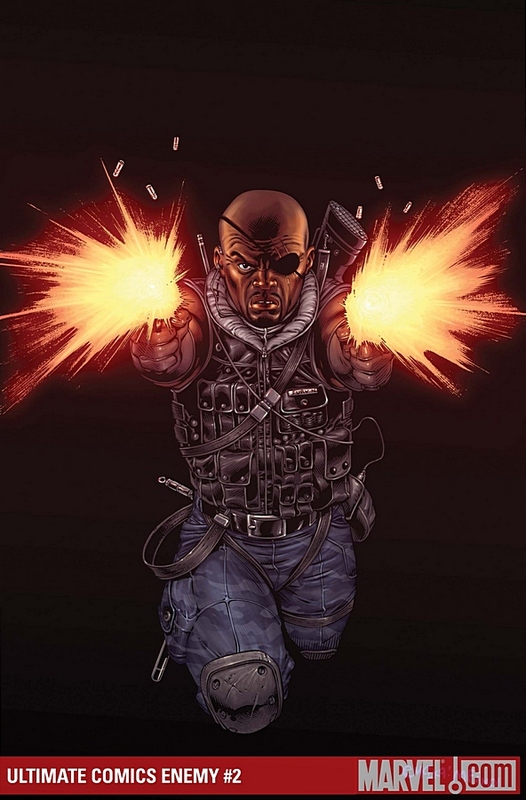 Nick Fury’s personal force field adds a nice touch to the whole affair. My problem with this is that it seems like the overall story is moving along at a snail’s pace. We still don’t know much at all about what is really going on. I’m sure that in the future issues there will be a big payoff. This issue just left me feeling slightly curious but not intrigued enough to be looking forward to issue 3. I’m sure things will pick up in the next issue. They have to right? It’s the 3rd issue in a four issue limited series so it better! Or I may not be around for the second part of the “trilogy”. I give this a 5 out of 10. Why DC Why?! Ok I know why But Still…Why? I knew it was too good to last. 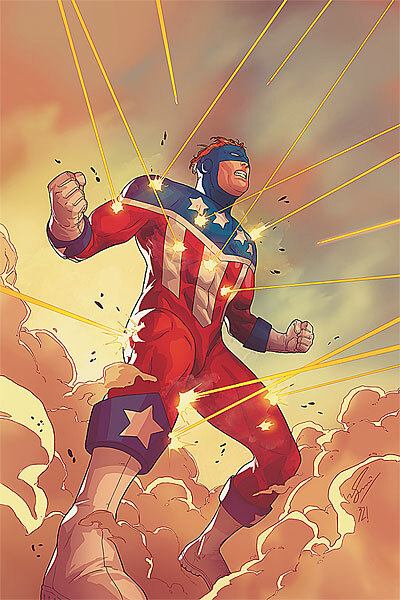 DC announced that the June issues of The Shield and The Web will be the final ones. Sales have been dismal on the Red Circle relaunch so I’m not surprised by this announcement but I’m still disappointed. I truly loved these books and characters. Of course now I wonder what is going to become of them. Are they going to vanish from the DCU? Are they going to appear in team books? Does DC even know the answer to this? In a way I guess I should be glad. This frees up some of my comic book budget to try out some other titles. 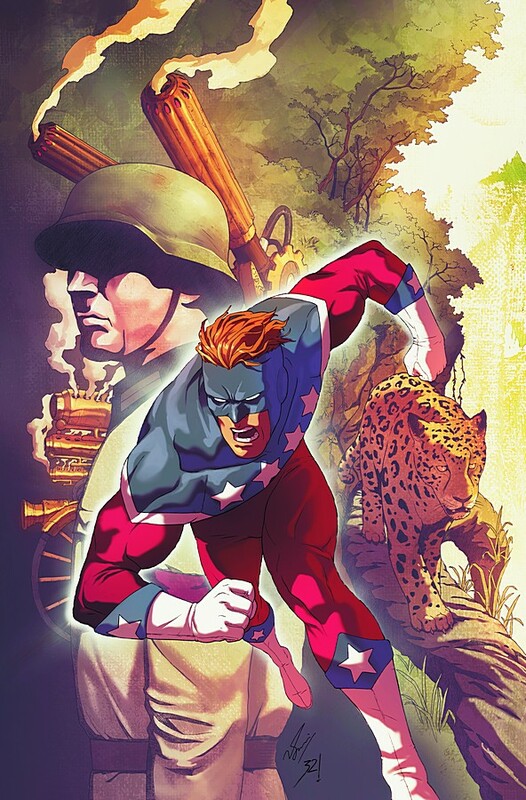 I hear Marvel has a lot of new books coming out…..
About a year ago on this very blog I briefly detailed my excitement over the return of some obscure heroes that DC comics had gotten the rights for. The characters originally appeared in a line of comics put out by Archie comics in the 50s and 60s. In the 70s Archie published these characters under an imprint called Red Circle comics which is why these characters are referred to as “The Red Circle Characters”. In the nineties DC launched a short lived imprint “Impact Comics” which is where I first read about and fell in love with several of these characters. Now the head honchos at DC comics have these characters again and instead of publishing them under a different imprint or in their own self contained universe they are integrating them into the main DC universe. Over the past couple of months they have had interactions with other DC characters. Most notably Inferno running into Green Arrow and Black Canary. DC comics is currently publishing two books that feature Red Circle characters: The Web which has a co-feature that stars The Hangman and the Shield which has a co feature that stars Inferno. Although DC recently announced that Inferno will go on hiatus for a while and the co feature in the Shield is going to star the Japanese themed super-hero The Fox. The Web follows the adventures and misadventures of John Raymond. John is a rich womanizing socialite that after the murder of his brother decides to use this hi-tech “Web” suit to help people. Solving his brother’s murder is also one of his goals. John sets up a web site where people can submit a plea for the Web’s help. He decides to start a super-hero franchise and gives the suits out to 100 other people around the world that pass a stringent vetting process and have the cash to buy in. These people are called Web-Hosts. This way the Web-Hosts can deal with problems submitted from their areas and thereby being more productive and of course John Raymond makes a profit from this. This leads to all sorts of problems and frustrations for the main Web as well as the super-hero community in general. At first I thought that I wasn’t going to enjoy this one but I must confess that the rich characterizations and the intriguing use of technology and premise of this book has me hooked. 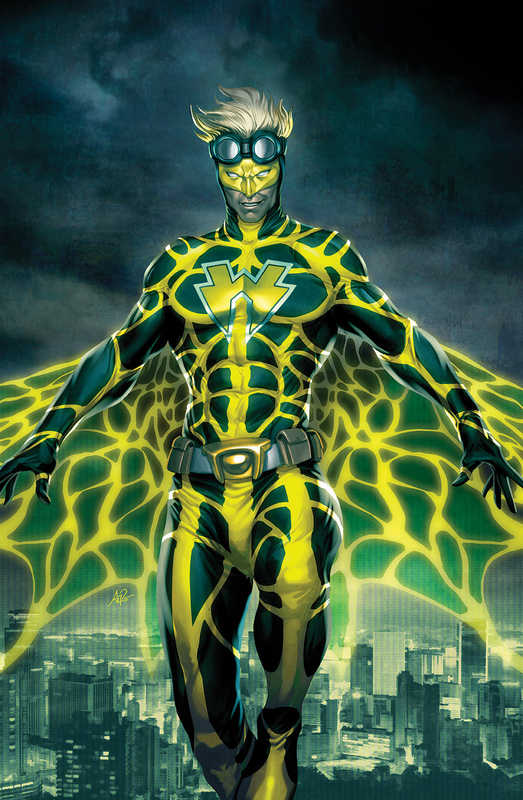 A super-hero franchise that uses the internet to fight crime. This is the finest example of 21st century super heroics that i’ve been able to find. 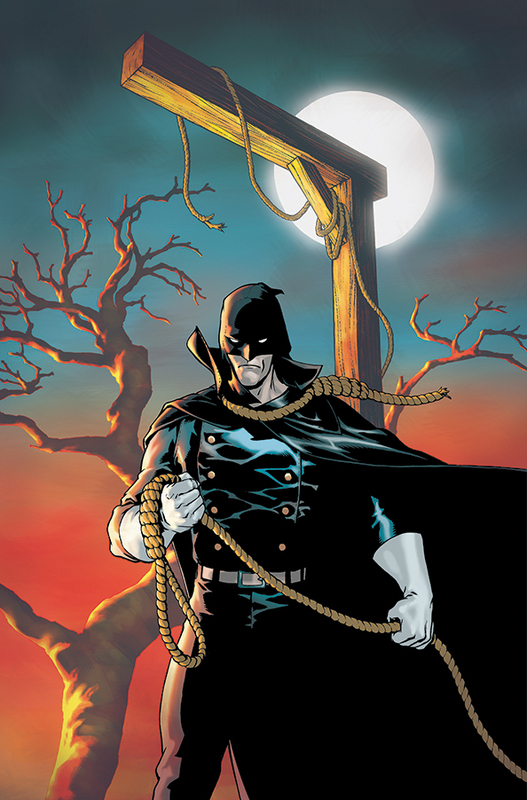 By day this character is a doctor working at a local hospital and by night he transforms into te mystical Hangman. When I say Transform I mean transform. When the sun goes down he becomes an avenging spirit seeking justice. This character has some odd powers not to mention the dramatic transformations. Still this co-feature has some gritty art and some interesting storylines as our immortal hero is currently cleaning up San Francisco. As far as co-features go this is the best of the two. As i’ll discuss later Inferno is a confusing mess. This co-feature makes the price of $3.99 bearable. So after six issues all I can tell you about this is that there is this guy that is on the run from an evil corporation that experimented on him. 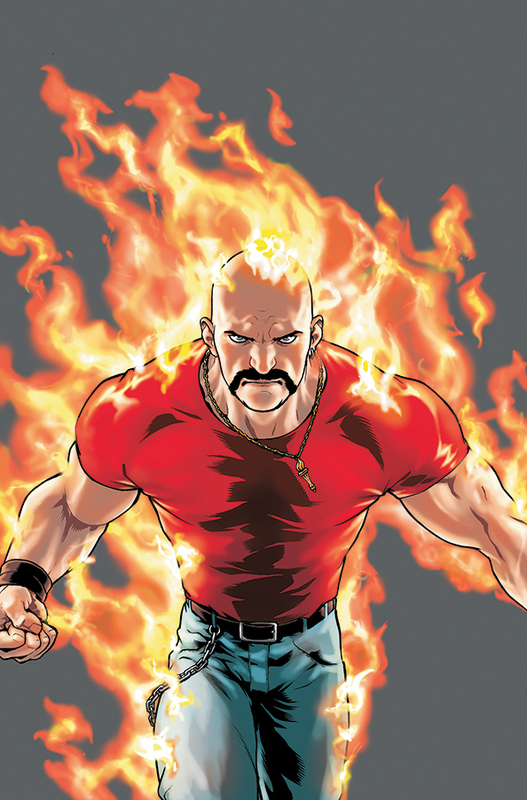 When he “flames up” his appearence completely changes to look like the dude in the picture above. At other times he looks like a clean shaven white guy. Best of all he has no idea who is and honestly this co feature never made me care. I am so glad that they are dropping this co-feature next month and putting the Fox in its place. At least for a little while. I don’t know how much Inferno I can take. Overall i’d say that DC has done a good job with most of these characters. Both The Web and The Shield are enjoyable reads. The Shield main feature is better but the co-feature is horrendous while both the Web and its Hangman co-feature are entertaining. Next month the Shield Co feature changes to new character. So i’m hoping the Fox will turn out to be a cool character and not the confusing mess that Inferno is. You are currently browsing the Nerdy and Over Thirty blog archives for March, 2010.